The Natives Inc. is a multidisciplinary firm offering a wide range of services including consulting, restoration design, restoration implementation, landscape architecture and a wholesale nursery growing only Florida native plants since 1982. Nancy is renowned for developing successful techniques for site preparation, planting, direct seeding of native groundcovers and weed control to restore scrub, sandhill, and flatwoods native plant communities. She has developed and enacted direct seeding projects for state and local agencies, water management districts, mitigation banks, mined lands, developers, and corporations. As the developer of The Natives plant nursery, one of Florida’s earliest native plant nurseries, Nancy has experimented with the propagation and growth of many native plants, including native grasses, wildflowers, and rare species. The Natives grows over 200 different species of plants. 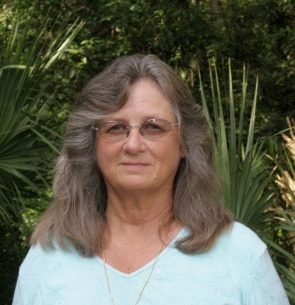 As a botanist, Nancy has assisted with monitoring research projects for The Nature Conservancy, Florida Institute of Phosphate Research, and other organizations. She has performed various rare plant and vegetation surveys and helped federal, state, and local authorities find and evaluate rare plant communities. Nancy has a B.S. in horticulture and botany from Florida Southern College.